Whether you need an assessment for a new roof, roof replacement, leak repair, or want to check out new and improved products for your home or businesses roof, we can answer any repair questions including discussing any concerns you may have about price or longevity. Our roofs withstand heavy rains, long stretches of humid conditions, high winds, sleet and snow. After 25 years of repairing and replacing all types of roofs, we understand which roofing products hold up the best. All of our employees have gone through company training in correct installation of roofing systems and the common errors that cause them to fail. Every day before any work is started, our crew leaders review policy for expected employee professional behavior and common installation errors are refreshed and cautioned against. Skyward employees are told not to take short cuts to try and move things along faster and easier. Faster and easier seldom means adequate or better. 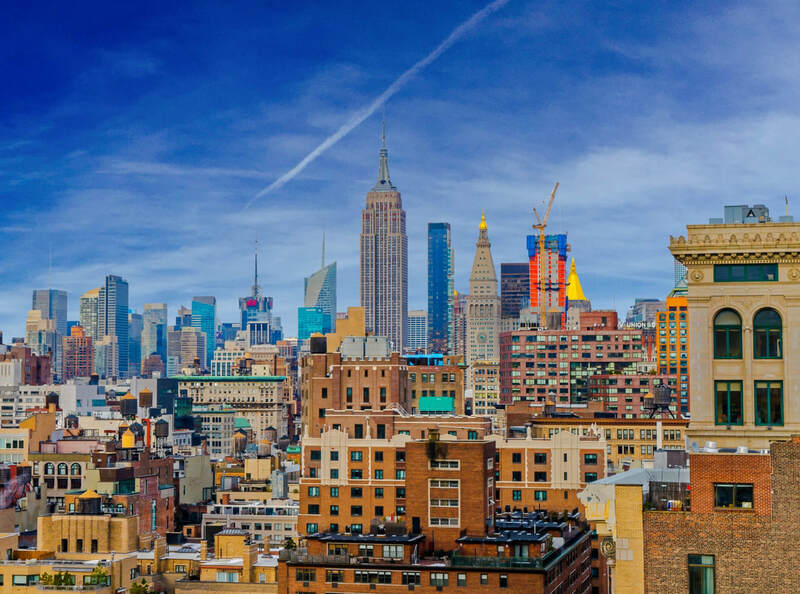 ​We are licensed, bonded and insured in the state of NY. Being licensed requires the passing of one or more tests, proof of formal training or so many years of on-the-job experience. The tests mostly cover safety requirements, and constructions laws. Being Bonded requires the Roofer to have secured funds, in case of a lawsuit, to pay for damages that have been ordered by a court of law. Being insured requires a worker who is injured on the job must apply to the roofing company for compensation not a homeowner’s insurance. ​ If you need an honest and affordable residential or commercial roofing contractor, then you have come to the right place. Skyward roofing is the roofing company you are looking for! Residential roofs that are sloped, rely on gravity to keep the water flowing quickly down off shingles or tiles. In most cases, wind blown debris punctures are less of a problem on residential structures were the roof ’s slope limits the amount of rain that can enter a puncture (unless the puncture occurs in a valley or other areas where water is channeled or pooled). 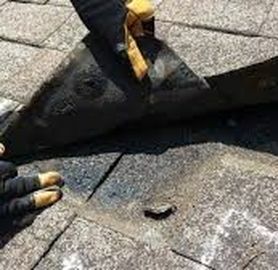 We repair and replace all types of sloped roofs ceramic tiles, asphalt shingles, wood shake, metal and slate as quickly and as budget friendly as we can while offering one of the best repair warranties available. Residential flat roofs can be built leak proof with expert installation of more modern roofing materials. Historically, a flat roofs reputation is viewed as having a shorter troubled (many leaks) lifespan as compared to sloped roofs. However, in the last 20 years new formulations of advanced roofing materials have been developed. They are very robust, energy efficient, easier to install and can compete with sloped roofs on equal footing. By far the biggest problem homeowners of flat roofs face during a roof repair or replacement, are errors made by novice flat roofing contractors. We repair and install the following types of Commercial roofing: Asphalt shingles, wood tile, slate, composite shingle, metal/tin, plastic polymer, flat roof membrane, spray foam roofing and clay tile. Skyward Roofing Inspectors are our most experienced and highly trained employees. Inspectors have to understand how venting occurs within a building, malfunctions of mechanical building components (HVAC, electrical, venting, plumbing, and drains) and what impact they have on different types of roofing systems. We will rapidly send an inspector to your business to investigate a roof leak. They will work quickly to minimize water damage- saving you some of the secondary costs, such as inventory, equipment and structural damages. Rest easy, we will figure out what is going wrong with your roofing system in no time and have an affordable solution to propose. Finally, our assessment of the building’s roof will determine the reliability of the roof’s system- bring to awareness any further potential failures. Skyward Roofing experience, developed from 25 years of actual hard field work, gives us the resourcefulness to discover roof leaks quickly and effect a roof repair rather than a full replacement. Be suspicious of roofing contractors that will give you a price over the phone or in a text message without seeing the problem roof first. They can’t have a clue as to what repairs are needed so any estimates they offer are questionable and bound to increase after the job is started. Finding and Fixing Leaks Other Roofing Contractors are Unable or Unwilling to do. If you need help to find a roofing leak, contact us we will find the leak. We will not tell you is a design fault on your roof and you need a newly designed roof- this happened to one of our clients after a roofer unsuccessfully repaired a roof leak. It takes patience, experience and understanding of how water will flow along the home's framing, taking unseen paths to its final exit, to find and repair a roof leak. Our New York City homes are too expensive to let your roof deteriorate. When water gains a path into your home or office, it gives rise to rot in wood studs, caused by mold spores which are all around us. Mold builds ever increasing colonies in moisture damaged building materials. Don’t just put a bucket under those roof leaks- multiple hazards to your dwelling arrives with one small leak. Passage of years, winter snow and ice, rain, high winds, holes chewed by critters, improper flashing installations, and acts of God are all sources of sloped roof leaks and failures. Inspection of the health of your home’s roof is offered free of charge with no commitments. We will check the roof for debris, dirty gutters, damaged shingles, flashing damage around chimneys, vents and pipes, water damage inside of home, and holes made by pests (squirrels, mice, insects...). Skyward Flat Roof Inspectors are promoted from a selection of employees that have a long history of experience in Flat Roofing installations and mechanical knowledge of building maintenance issues that can cause problems in a flat roof system. Our inspectors will inspect the entire roof looking for deteriorated sealants, rooftop equipment maintenance issues, tears or punctures in the membrane, debris, and a host of other common or uncommon problems. 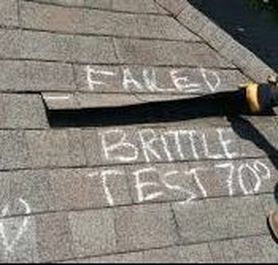 Photographs of roof faults or potential failures will be taken and will be included in the written assessment to aid understanding. You will not find another roofer that will replace your roof, the way the manufacturer expects, cheaper than we will. Our estimates cover quality underlayment, new flashings, new drip edge and proper number of nails placed in each shingle (some roofers save money by using less nails than they should). Cutting corners during roofing installation and hiring unskilled day labor is how some roofers claim a bigger paycheck. Replacing a roof way before its expected lifespan is the most expensive roof you'll ever buy when you hire a devious roofing contractor. Polyurea is a liquid or spray coating that is used successfully for waterproofing parking garages, flooring, reservoir/tank linings, flat roofs and basements. Polyurea coatings are impact resistant, flexible, durable and are often used to repair concrete or steel surfaces. These coatings have been in use for 30 years and some formulas will dry within 4 to 6 hours. However, proper surface cleaning and preparation must take place- any sharp edges left in the surface to be coated will break the membrane. The reason some waterproofing membranes fail is because of improper surface preparation- the surface's sharp protuberances have not been taken care of nor was the cleaning sufficient. Skyward Waterproofing Technicians have been trained and tested in different environmental applications before they are allowed to preform waterproofing for residential or commercial clients. Inspection of Basements or Cellars, for needed Polyurea waterproof treatment, would look for some typical signs of water infiltration through basements or cellar walls. Such as, musty smell, cracks in the walls, basement floor cracks that exhibit heaving, water seeping in from the seam where the wall meets the floor and the bottom row of concrete blocks could be damp with a white powder on them. This white powder is called efflorescence an alkaline substance composed of salts and minerals that will leach from concrete exposed to near constant moisture. These damp basements also encourage the nearby rodent and insects to take up residence in its warm, dark and damp space. Polyurea waterproofing will remove these positive living conditions for roaches and mice by closing all cracks or holes that let these critters in with ground water. Click here to see which areas we provide roofing services too.